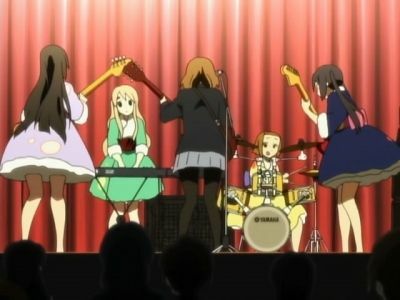 The Best Episodes of K-ON! Four aspiring female musicians getting through high school the only way they know how—by starting a band! 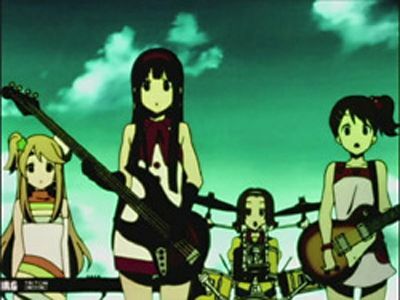 Yui is the lead guitarist (though she's never played before), Tsumugi the keyboardist, Mio the bassist, and Ritsu the drummer. With their big show at the annual school festival getting ever closer, the girls will have to practice hard—while dealing with homework, boys, and lots of other hilarious mishaps along the way—if they want to truly rock! On the day of the girls' graduation, Yui gets off to a rough start by being late and ripping her tights. Meanwhile, Azusa is similarly distracted and ends up banging her head. The girls hold onto something, though Yui's attempts to hide it during the graduation ceremony cause Sawako to grow suspicious. They later give Sawako the present, a card signed by the entire class, later that day as thanks for being their teacher. 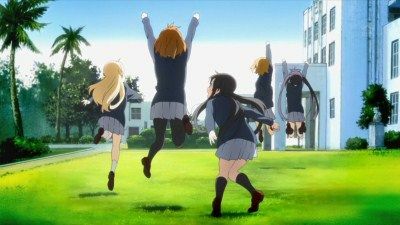 After the classroom empties, leaving behind several goodbye messages for Sawako, the girls go to the light music room, shortly followed by Azusa. Azusa, who had been holding in her feelings all day, finally breaks down into tears, begging them not to graduate. To cheer her up, the girls perform a special song they wrote just for her. #2 - Yet Another School Festival! The girls get on stage for their performance and are surprised to find everyone in the audience wearing the same shirts as they are, which moves Yui a lot. During their performance, they sing two new songs, and Yui gives her thanks to the people who have helped her, and even gets thanks in return from the others. After their performance, the girls look back on their previous years and start to become upset knowing that this is their last year together, but manage to cheer each other up. On the day of the school festival, Mio wants to practice for the club's live event, but everyone else is helping with their classes' other stands. They later get some practice done, but Mio is still nervous about singing center stage, even with Sawako's costume choices not helping the matter. Ritsu decides to hold a mock concert introduction to calm her nerves, although she still has jitters when the concert starts. 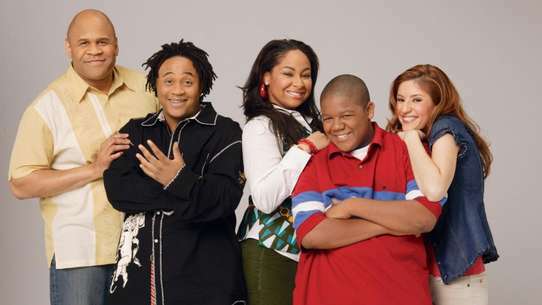 Having seen her secret vocal practice beforehand, the others encourage her to do her best and the show manages to be a success. 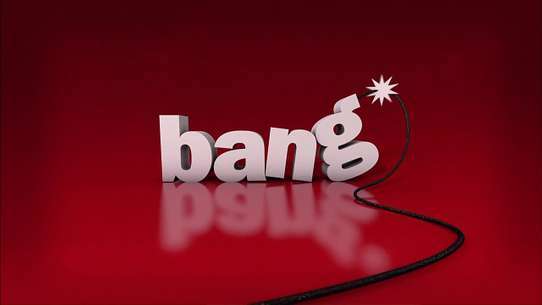 However, leaving the stage Mio trips over the guitar cable and accidentally exposes her underwear to the audience. She ends up getting a fan club, but cannot get over her embarrassment. 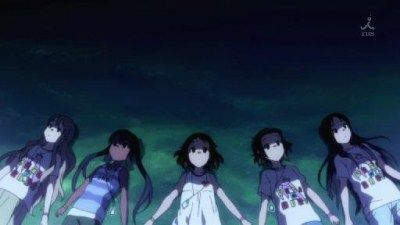 With summer vacation starting, everyone initially decides to do another training camp, but instead they decide this year to go to a summer rock festival in the mountains, which Sawako conveniently has tickets for. 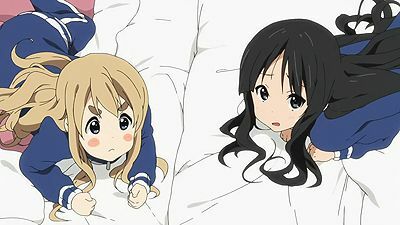 After following Sawako's strict survival guide, the festival starts and everyone gets into it, especially Mio, although Tsumugi and Yui become depressed when they cannot eat the foods they want. 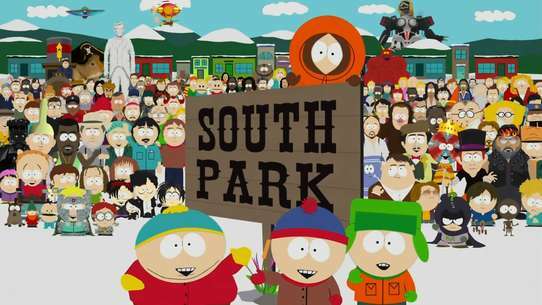 Meanwhile, the girls shortly go separate ways to listen to different bands. While Mio gets entranced by a left-handed guitarist, Sawako enjoys headbanging to a heavy metal band far from the others. 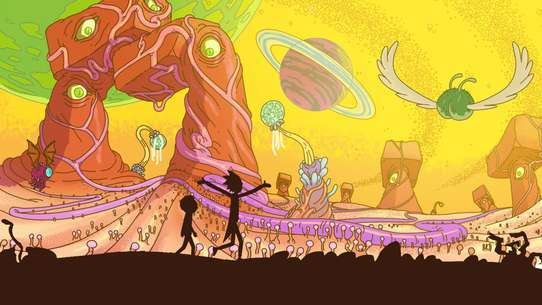 After a day of music, the girls sit under the stars, listen to the bands far away, and agree to perform at the next Summer Festival. After Sawako gets a call on her phone from someone in the clubroom, the girls decide to follow her. 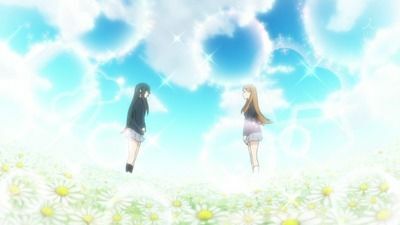 There, they find her meeting up with one of her friends, and although they are easily noticed by her, she does not alert Sawako to their position. 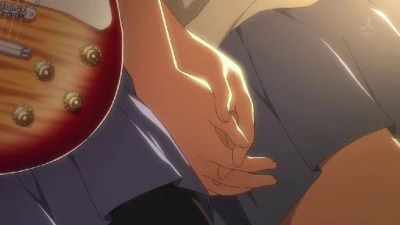 After Sawako leaves, her friend introduces herself to the others as Christy, a guitarist from the previous light music club during Sawako's punk phase, and reveals that one of their group's other members is getting married. At the wedding, Sawako is shocked to find her old death metal band on stage with Yui as the guitarist. When Yui gets off to a nervous start, Sawako sheds off her shameful pride and takes her place on stage. Set before episode 23, Nodoka arrives in the clubroom with a sample of the graduation yearbook. The yearbook needs to be checked by Sawako, who is sick with a cold. 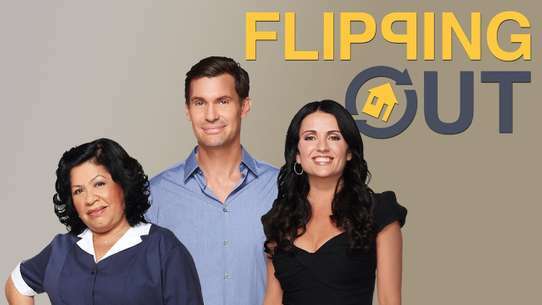 Curious about what her apartment looks like, the girls decide to pay her a visit. 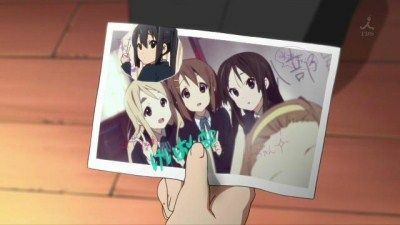 Whilst looking through the album, they find a mysterious hand in the group photo, which turns out to be Ritsu's. Despite Sawako's objection, the girls decide to help her out around the apartment. They briefly visit Azusa, who is busy rehearsing for her freshman reception with Ui and Jun. Yui is still sick from her cold, which is possibly attributed to her wearing a short yukata for too long. As the band tries to make do with Azusa as lead guitarist, Yui supposedly shows up over with her cold. However, her playing is too perfect and a slip of the tongue reveals that she is actually Ui, who had managed to play after a few days practice. Yui appears, but is still in no condition to play, so Mio suggests that she stay home until the day of the live performance. Yui eventually makes it in time, but forgets her guitar at home, so Sawako fills in for her while she goes to get it. Yui returns in time for the second song and the performance goes well, and the band even does an encore. Set just after episode 21, Azusa finds the light music club's attempted recruitment video from before she joined the club, which was so embarrassing that Mio hid it in a cookie can. In order to recruit some new members for the next year, the girls try to come up with pitches for a new recruitment video, but to no avail. After talking with Ui and Jun, Azusa comes up with the idea of filming a documentary of their activities, intersected with interviews from fellow students and staff. The video turns out great, besides one scene at the end which Azusa is not too keen on. #9 - Romeo and Juliet! As the seniors prepare for the play, Azusa worries that there has not been enough practice for the live performance. 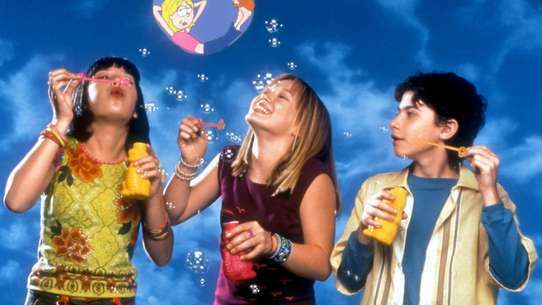 As the play goes on, the backstage crew realize they are missing Juliet's gravestone needed for the climax, but manage to borrow something from the occult club in time. After a successful play, the girls apologize to Azusa for making her worry and decide to hold an overnight practice session at school. Later that night, they browse through the closed stalls, where they find the missing gravestone, and give their thanks to the occult club. The next morning, Sawako gives the girls special Ho-kago Tea Time t-shirts for their performance. After listening to the live performance of the previous year's Light Music Club, Mio is inspired to get the gang together to practice over the summer break for the upcoming Budokan school festival. They travel to Tsumugi's oceanside villa, where music and summer fun mix. Unable to get Mio to hang out with her, Ritsu runs into Tsumugi who decides to hang out with her. They go to an arcade and then to a candy store, where Tsumugi is fascinated by all the cheap items. Meanwhile, Yui has Nodoka over to help with her homework, and gets upset when she eats the strawberry off her cake. Later, Tsumugi asks Ritsu to hit her, wanting the same skinship she has with Mio, but Ritsu cannot bring herself to do it. As a compromise, Ritsu attempts to train Tsumugi to be dopey enough that Mio would hit her instead, but to no avail. Hoping to make an opportunity, Tsumugi eats the strawberry off Mio's cake, but this just makes her cry. Having given up when a direct request to Mio also fails, Tsumugi finally gets hit when she implies Ritsu would be popular with the girls if she was a boy. Ui makes it into Yui's school as a freshman, as well as new student Azusa Nakano. 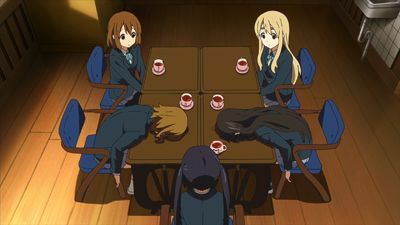 When the class arrangements are announced, Yui, Mugi and Ritsu end up in the same class, whilst Mio ends up in a different class with Nodoka. 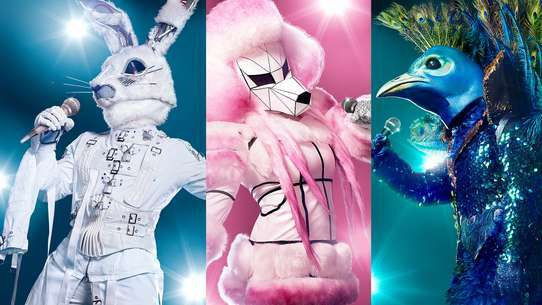 The group put up with Sawako's ideas of promoting the club by dressing them up as animals. Ui and her friend visit the club only to find everyone dressed as maids. 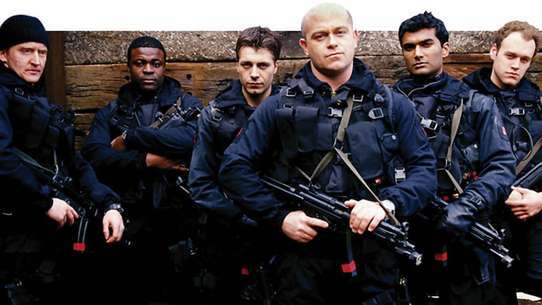 However, the band find it impossible to play with the outfits on. 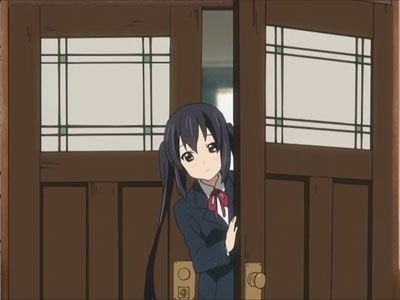 Meanwhile Azusa walks around looking for a club that's right for her. The group gets ready for a live performance, but Mio is too embarrassed to do the vocals, so Yui does them instead. Yui forgets the lyrics, but Mio manages to back her up. Ui brings Azusa to watch the show, who is so moved by it that she goes to join the club. 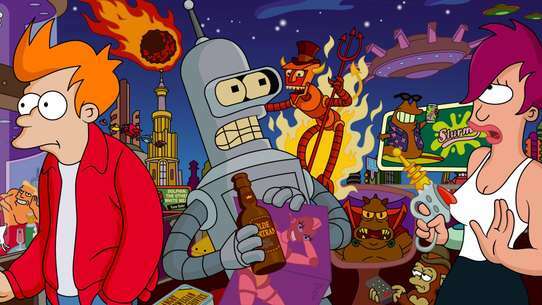 Afternoon Tea Time plays their first show at a club. 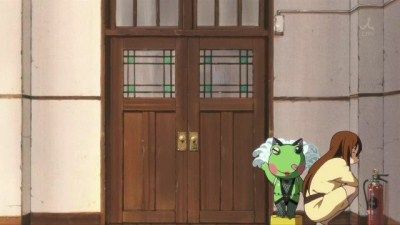 When Tsumugi's application to reserve the hall for the light music club is rejected due to it not officially being a club, it becomes apparent Ritsu had forgotten to fill out the required form. Yui's friend Nodoka Manabe, who is a member of the student council, offers to register them, but says they will need an advisor. 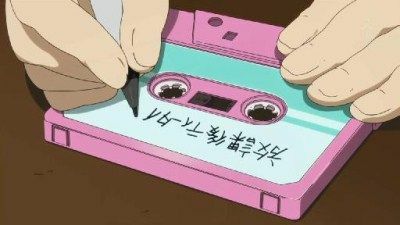 The girls ask one of the teachers, Sawako Yamanaka, who rejects the offer until Yui figures out she was one of the previous light music club members, and Ritsu plans to blackmail her with the information. As the seniors prepare for their entrance exams, Azusa decides to make them a chocolate cake for Valentine's Day, getting Ui and Jun to help. When the day comes, Azusa becomes nervous about presenting the cake to them, also worried about their impending graduation. However, her friends encourage her and the cake is well received, even getting a speedy White Day gift from Yui. The next day, Azusa makes an expensive prayer at the shrine for the girls' success, and later receives word that they have all passed their entrance exams. Although they are not supposed to be at school until graduation the next day, Yui and the others decide to hang around the club room, though they have trouble figuring out how to pass the time. They clear out their desks and visit the student council room before getting Azusa to buy them some lunch. Wanting to leave something behind after they graduate, the girls decide to record an album of their songs. With photos for the graduation yearbook coming up, Yui uses Ui as a model to determine the best hairstyle, though feels weird when she leaves her hairpin on her. Although the seniors have finished their clubs, the girls decide to use the music room to study for their entrance exams, though Yui and Ritsu still have yet to decide on their university choices. 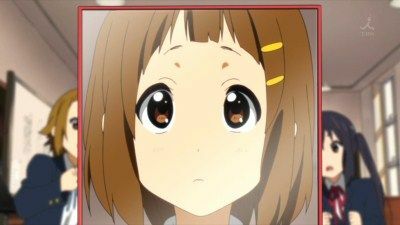 While trying to trim her bangs for her yearbook photo, Yui sneezes and accidentally cuts them off, giving her a completely different look. After their pictures are taken, the girls learn Mio had turned down a recommendation for a university because she wanted to study together with everyone. Upon hearing this, Yui, Ritsu and Mio turn in their university preference applications to Sawako, opting to go to the same women's university as Tsumugi. The third years go on a school field trip to Kyoto. On the train there, Mio is a little annoyed at Yui's and Ritsu's childish behavior. Mio realizes that she will have to watch over both of them during the trip. After visiting various shrines and attractions, the group returns to the inn where the girls' bad habits continue to annoy Mio. The next day, they have a look around Kyoto, though Mio laments that no one wants to participate in any tourist activities. However, when they get lost on the way back to the train station along with Nodoka's group, Mio gives in to the jokey nature of the others and loosens up for the rest of the trip. 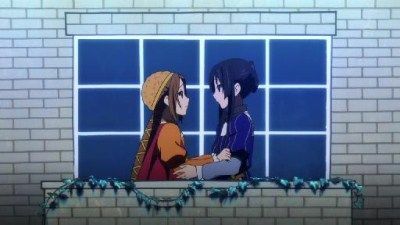 Much to their dismay, Mio and Ritsu are respectively nominated for the roles of Romeo and Juliet in the class play. Mio has her usual problems with the pressure of being centre stage, whilst Ritsu can't act lady-like enough for her role. After not being impressed with the other girls' 'training' for them, Ritsu and Mio decide to have a cram session. 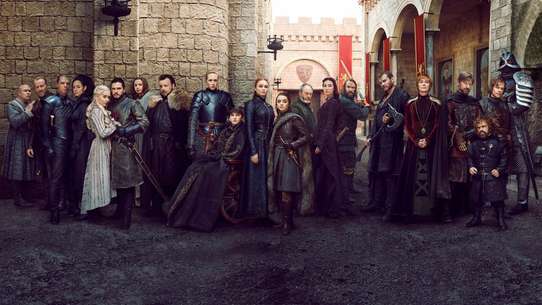 Whilst doing impersonations of each other if they switched roles, they find the key to successfully acting out their parts. Noticing Mio still lacks confidence, Tsumugi arranges for her and the others to work as maids in her family's tea shop to help get over her embarrassment. Although she gains some confidence, Mio still is reluctant about being centre stage. Meanwhile, Azusa grows concerned that, with everyone rehearsing for the play, no one's preparing for the live concert. Mio gets the feeling that someone is watching her, making her feel uneasy, though it turns out to be because she had a sticker on her hair. 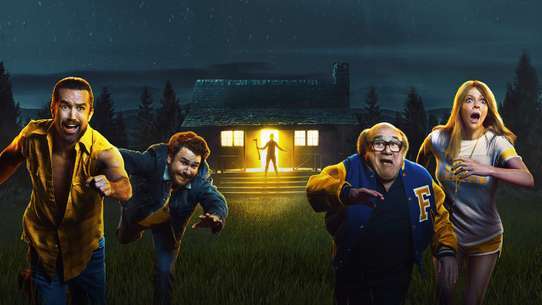 She is visited by Nodoka, along with a couple of members from Mio's fan club. The girls are reminded of the previous year, where Mio felt like she was being stalked by someone and went to the student council for advice. There, she met the former student council president Megumi Sogabe, who suspiciously appeared to know a lot about her and the light music club. 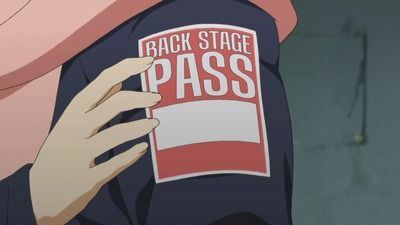 It was soon revealed that Megumi was not only Mio's stalker, but was also president of her fan club who had wanted to see as much of her as possible before she graduated. As a graduation gift, Mio and the girls held a private concert just for her. After Megumi graduated, she passed the position of fan club president over to Nodoka. Since she had not found time to do anything for the club, Nodoka asks the light music club to hold a special tea party for them. 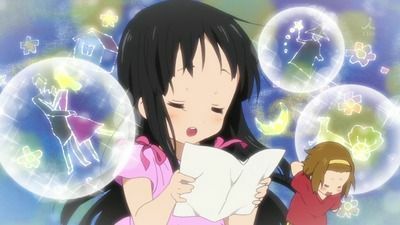 Mio is initially embarrassed by all the skits, interviews and service she has to put up with, but warms up when she sees a slideshow of her times with the light music club. 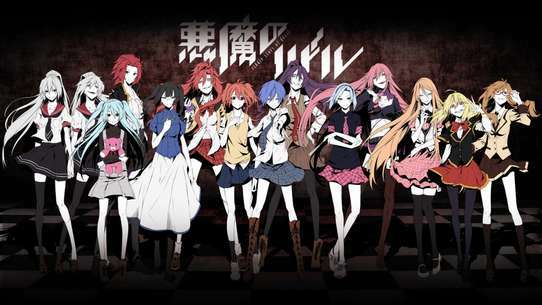 The event ends with a performance and a group photo, which Azusa sends to Megumi. 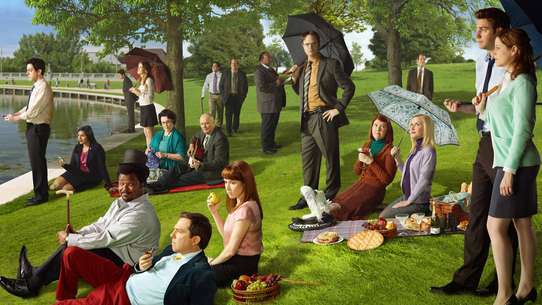 #21 - New Club Member! 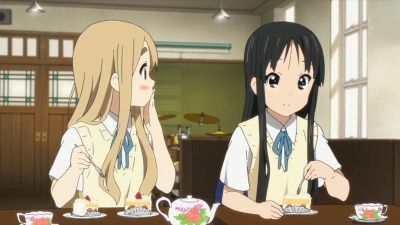 Azusa officially joins the club, although is shocked to find everyone drinking tea and eating cake instead of practicing. She yells at them when Sawako tells her off for actually practicing, but Yui manages to calm her down. Despite her objections, Azusa finds herself weak against Tsumugi's tea and cakes. 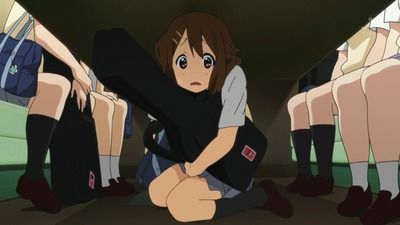 Yui herself is rather shocked at how much better Azusa is at guitar than she is. Sawako brings a pair of cat ears for Azusa to wear, leading Yui to give her the name 'Azu-nyan'. 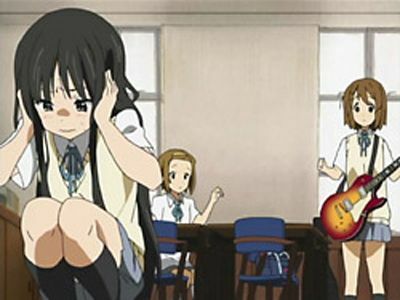 Noticing she is a bit upset, Mio encourages the band to practice more, but the group quickly reverts to its lazy state. Azusa becomes really upset since she cannot understand why the band members she admired at the live performance behaves like they do. Mio explains to her that she stayed with the band because it is fun to play with the others, and Azusa decides to stay as well. While filling in University Choice forms, Yui and Ritsu get in trouble for not being decisive enough about their future. Nodoka tells the others about how Yui somehow became friends with her after they met in kindergarten and how she has improved since joining the light music club. Mio and Ritsu later tell how they met and how Ritsu helped Mio when she was nervous about reading her award-winning essay in front of others in fourth grade. When Yui attempts to put 'musician' as her career choice only to be rejected, Nodoka cannot help but laugh. Yui asks her classmates for some advice, but still gets confused, so she just says she will do her best for now, which is still rejected. 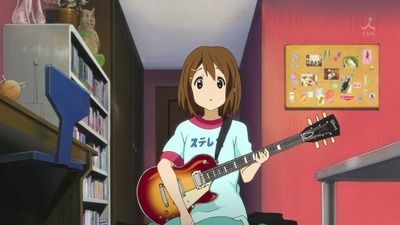 The members of the new light music club join forces in order to get Yui Hirasawa a guitar, an expensive Gibson Les Paul which costs ¥250,000. 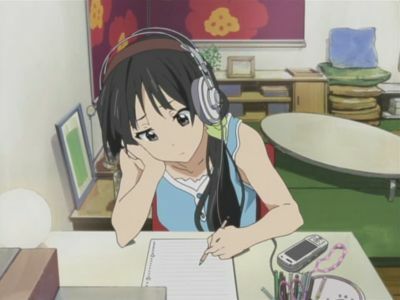 As the finals approach, Yui is struggling with her studies. One of Yui's neighbours, a kindly old lady who's always taken care of her, tells Yui about an upcoming talent show event taking place right after the finals. Wanting to pay her back, Yui decides to enter, though the others are concerned about her juggling two priorities. Azusa decides to join her act and help her study for the finals. After their tests, Yui and Azusa perform their routine. 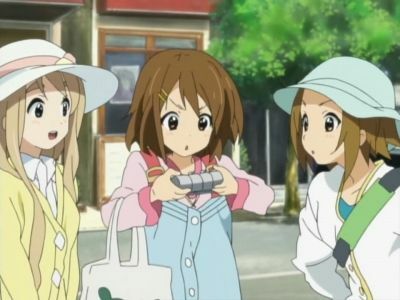 Though they didn't win, Yui gives her participation prize to the old lady as thanks. Yui manages to pass her test with high scores. Yui and the girls are now taking their midterms. 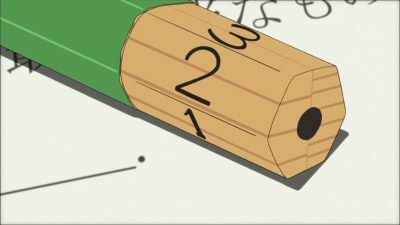 Unfortunately, Yui practices playing her guitar chords instead of studying, and she fails the exams. If she fails the retake exams, she cannot participate in club activities, and the club will be disbanded. A day before the retake, Yui still has not been able to study much and begs Ritsu, Mio and Tsumugi into helping her to study for her retake. Days after the retake, an exhausted Yui returns to the club room with full marks. 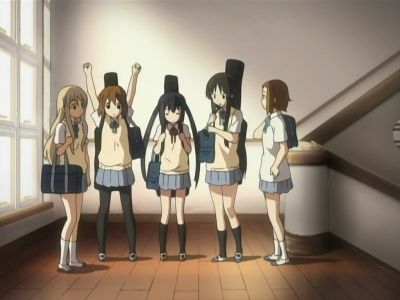 To celebrate, the girls ask Yui to play the guitar chords she had learned, but she has completely forgotten them.